We welcome you to our vacation cottages in Cavendish, PEI. Hidden Acres Cottages is the perfect place for a quiet family vacation! Very comfortable, well equipped, extremely clean & lots of personal touches. 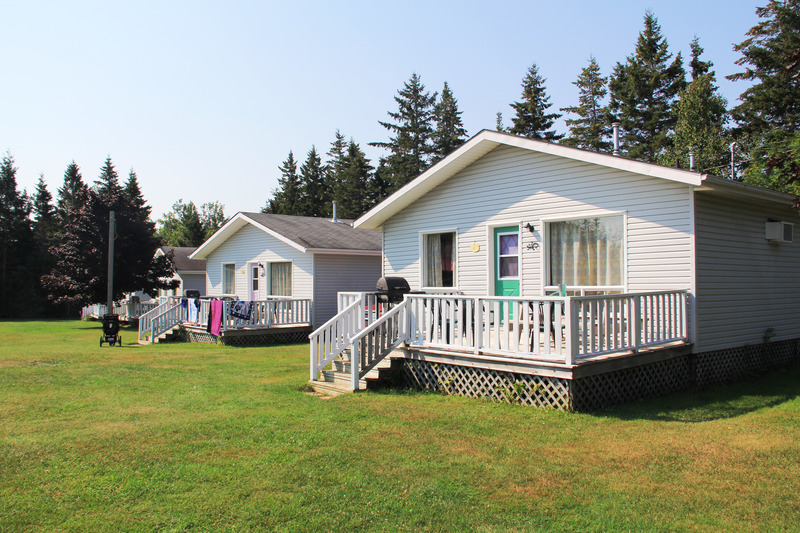 We welcome you to our cottages at Cavendish, your home away from home for your PEI vacation. Beyond the hedge of trees is a vacation to remember. Our hidden pathway is the first siting on your way up to our luxurious cottages. We are located 500 feet off the busy roadway and all the traffic is located to the back of the cottages. We are very kid friendly, so you can sit on your deck and watch your kids have fun. All our cottages are modern 2 bedrooms, very clean and well maintained and are equipped with fridge, stove, sofa bed, coffee maker, remote control color cable TV, microwave, dishes, utensils, bedding and linens. We offer 3 ½ star newly constructed accommodations with 14 cottages, developed on 3 acres of land. We have the cleanest and biggest cottages in the area. Since we opened our doors in 1995 we have had lots of return customers who can’t get enough. They enjoy telling all their friends and family about our fantastic accommodations and friendly helpful staff. While you spend your vacation with us you must indulge in our inviting heated pool. The pool is centrally located and 2 playground areas and firepits as well. So sit back and enjoy peace and relaxation. We are offering your whole family a vacation to remember! 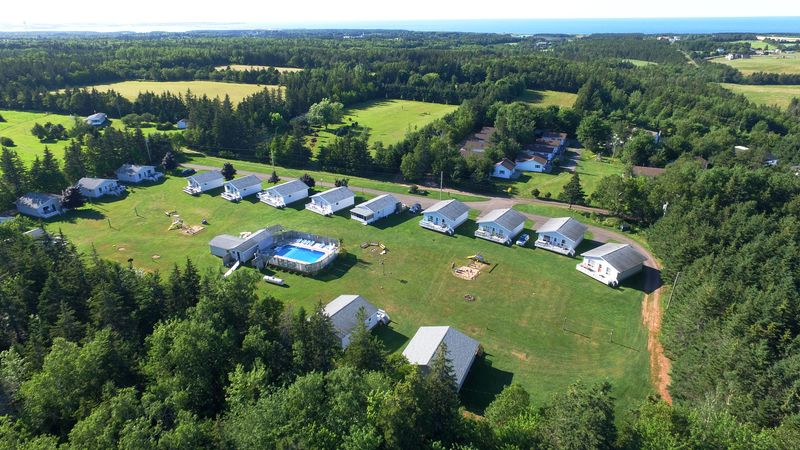 Anne of Green Gables, Cavendish Beach, Sandspit Amusement Park and Shining Waters Family parks are all less than 7 km away. Eagles Glenn, Glasgow Hill and other golf courses are minutes away.